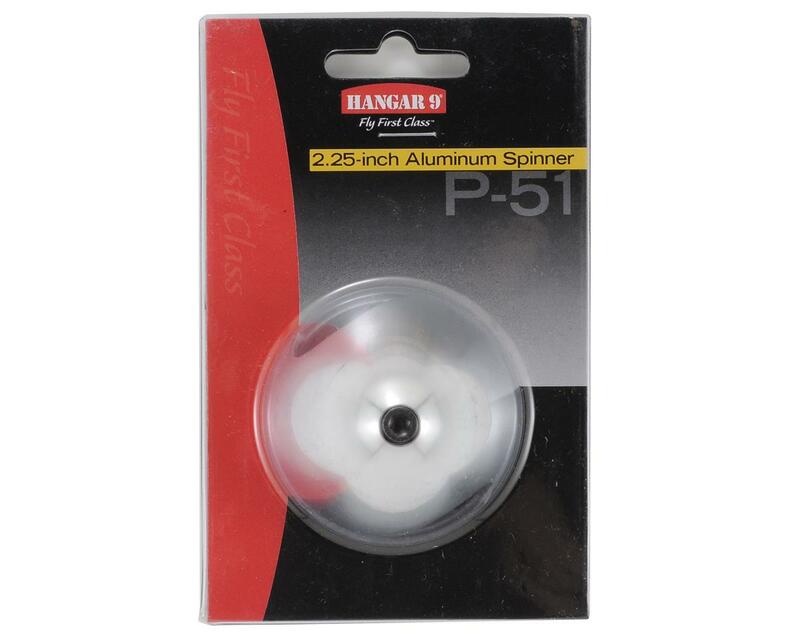 This is a Hangar 9 2.25" Aluminum P51 Spinner. 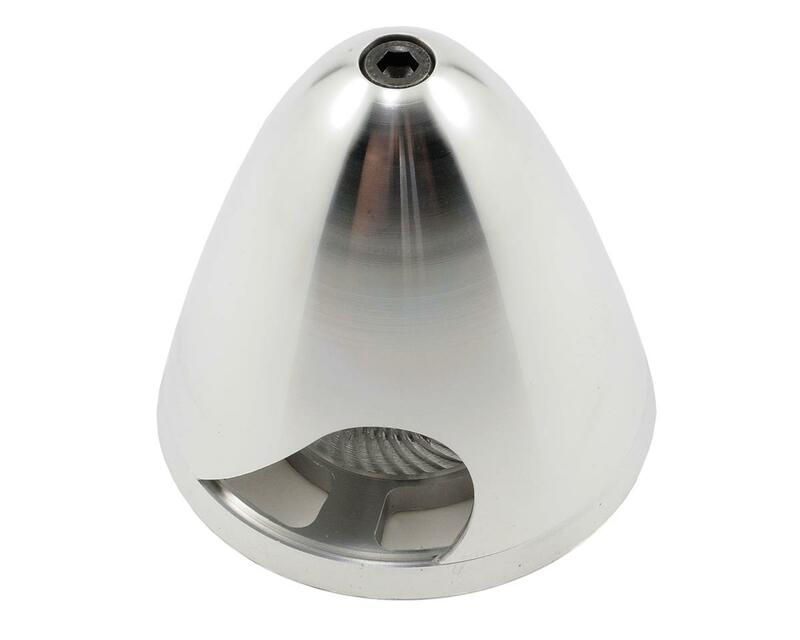 Hangar 9 has the solution for general and large electric aircraft enthusiasts looking to complete the look of their plane – with this exceptional, perfectly balanced aluminum spinner assembly! Hangar 9 spinners are the only spinner assemblies that offer a high-quality product at a value price. There are six spinner sizes ranging from 2.5 inches to 3.5 inches, as well as five adapter kits, offering you the parts and flexibility necessary to easily to adapt to all glow, gas and electric power aircraft applications.